New Delhi: Organised by Porsche India, Narain Karthikeyan set a new lap record for street-legal cars at the Buddh International Circuit. India’s first ever F1 driver, beat his own fastest lap time when he claimed the honour in a 911 GT3 on the track last year November. 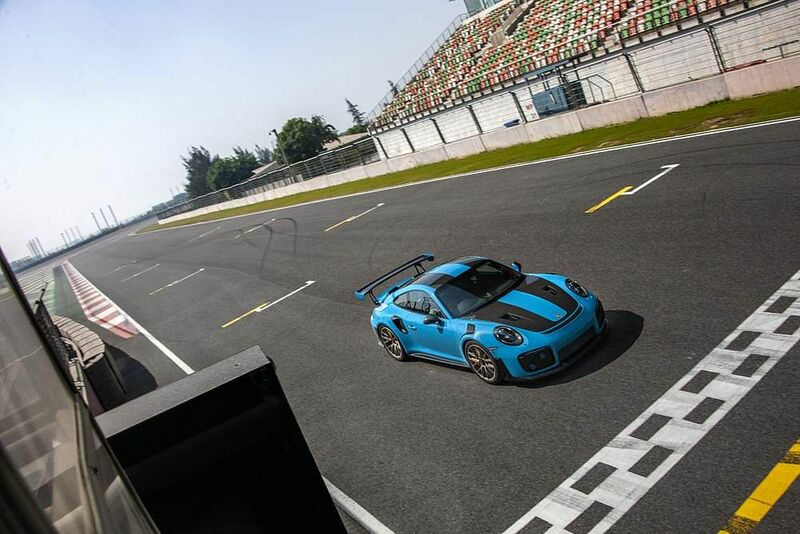 Yesterday, Narain went even faster in a Porsche 911 GT2 RS, taking the racer just 2 minutes 00.266 seconds to complete the 5.14km of India’s only FIA certified track. This new record lap time beat Narian’s previous best of 2 minutes 07.629 seconds by 7.363 seconds. The time has been certified by Federation of Motor Sports Clubs of India (FMSCI), a long-standing member of the FIA. Discussing Narain’s achievement, Pavan Shetty, Director at Porsche India, said: “This record establishes Porsche as the fastest automobile brand in India. 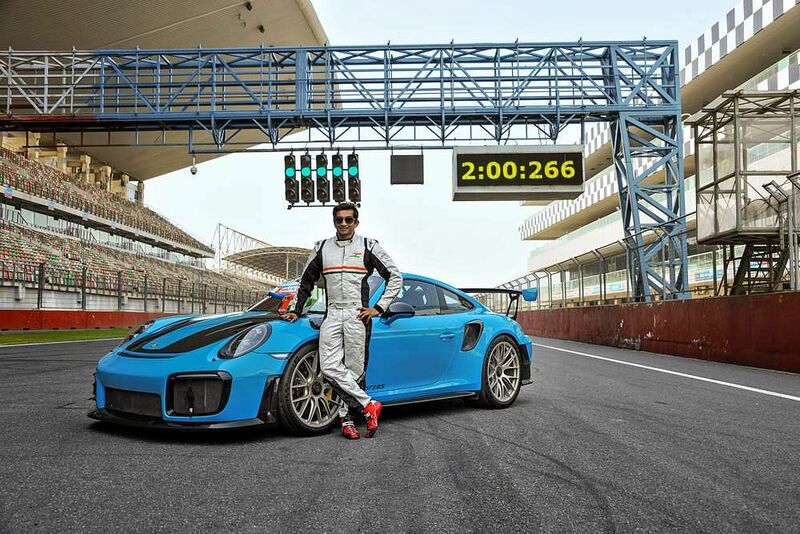 In a matter of months, Porsche 911s have now broken the lap record twice at the Buddh International Circuit. The 3.8 litre biturbo flat engine can catapult the two-seater vehicle – which weighs 1,470 kilograms – from zero to 100 km/h in 2.8 seconds under optimal circumstances. While setting his record, Narain took advantage of the Porsche Doppelkupplung (PDK), an innovation from motorsport featured in the 911 GT2 RS for the first time. The high-performance engine transmits its power via an automatically switching seven-speed gearbox on the rear axle, without interrupting traction. Cornering speeds were also on a par with those achieved by super sports cars. The 911 GT2 RS conquered the 16 turns of the Hermann Tilke designed track using its flawless racing chassis.